In a luxury market consumed with authenticity, exhibiting your storied past and showcasing original skills makes perfect sense. 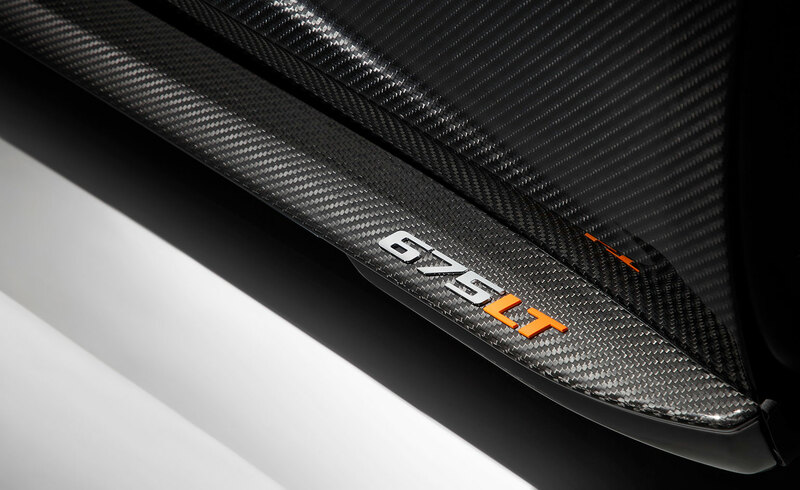 This is exactly what McLaren has set out to do with 25 exclusive MSO Carbon Series LT cars. Created by the McLaren Special Operations bespoke division and based on the 675LT Spider, these motor cars are covered all over in ‘visual’ carbon fibre. On the day of our visit to the McLaren Automotive headquarters in Woking, the 25th car is being finalised before heading to its new home. The lightweight, tough carbon is woven into an intricate pattern and fitted perfectly to hug its toned muscular body. The technical material acts much like a bespoke tailored suit, with a flawless weave, each pattern mirroring the other at every junction and every seam. It is quite a spectacular sight. Much like its Formula One parent company, McLaren Automotive, form follows function in its most faithful sense, and functionality for the marque is to be as light in weight as is possible for an extreme performance road cars. 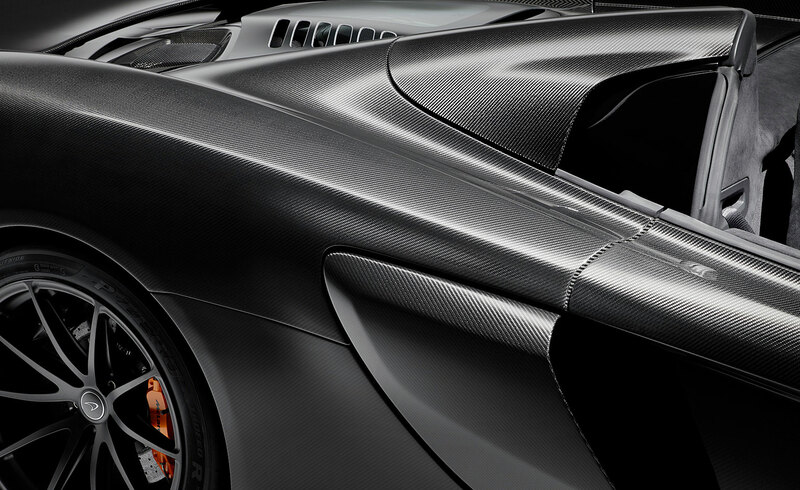 Carbon fibre, therefore, plays a significant part in the construction, forming the basic structure of all McLaren vehicles. 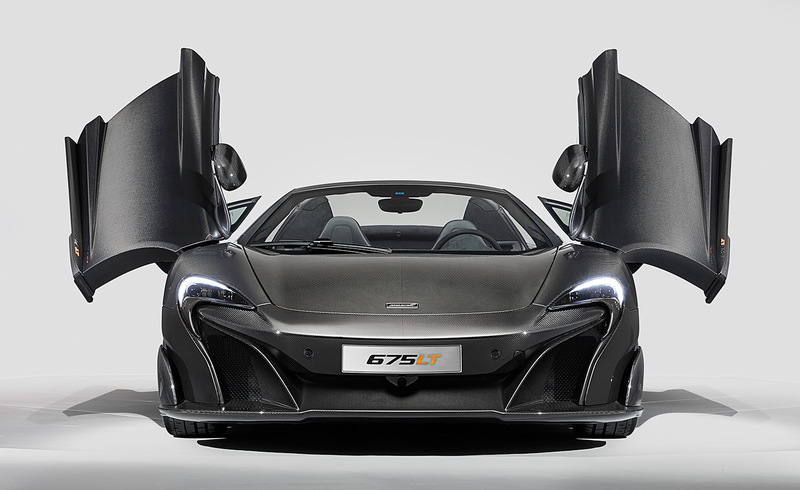 This car boasts 40 per cent more carbon than the 675LT. ‘The carbon fibre on the body and chassis expresses what the car is about,’ agrees James Banks, head of MSO Bespoke. In other words, the visual carbon articulates the car’s light weight and high power. Carbon fibre has been utilised by race cars for a long time yet we are seeing more and more integration of this incredibly light yet strong material in road cars. The visual representation, however, isn’t something that all carmakers can explore for it requires a certain technical expertise. There are hundreds of hours of manual labour in the car before us. Customers are always invited to come and see the production process. Few do – a pity since the process makes up much of the exotic narrative. Much like tailored fabric, the carbon weave can be exploited to re-enforce strength where needed – exterior panels and chassis – while areas such as the interior cabin can be treated to more elaborate twill weaves. The process here is quite simple: the raw carbon textile is moulded with resin to create rigid structures – the resin is added at an optimum amount to make it as strong and lightweight as possible. Once impregnated, the carbon is finished in a full gloss, satin or matt clear-coat lacquer along with a colour-tinted clear coat. Additional fibres can also be interwoven into the carbon structure – anything from gold to platinum, titanium and other precious metals to create a unique aesthetic. Lewis is fascinated by the possibilities of this technical material, especially when she can be experimental. Having studied textile design at Central Saint Martins, she became fascinated by unusual materials and by process thus exploring this theme in a post-graduate degree in constructed textiles at the Royal College of Art. The most common and the most optimum is the two-by-two twill that results in a herringbone pattern. In terms of functionality, Lewis says, it can help to provide symmetry to an exterior form when the diagonal weave is cut and re-joined down the centre of the car-line in the herringbone formation.